Discover with us the different parts of this imposing and futuristic construction. Walking tour in the City of Arts and Sciences according to the preferences of the group. Gymkhana or teambuilding in the area of the City of Arts and Sciencies. 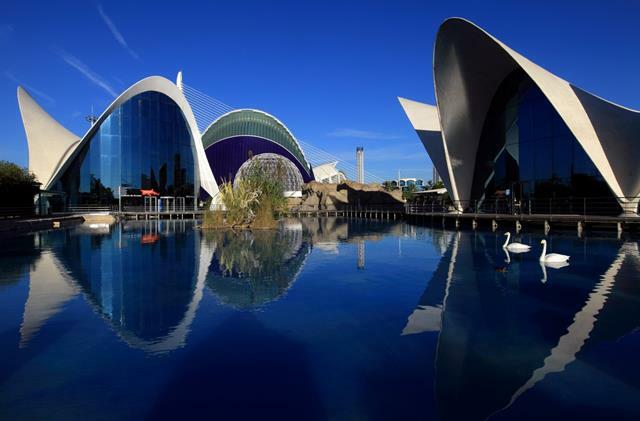 With a surface of about 350.000 m2, the City of Arts and Sciences is a ludic-cultural place which surprises with its architecture and its inmense capacity to entertain, teach and excite. It is one of the major centres of cultural diffusion. The City of Arts and Sciences is located at the end of the old Turia riverbed, in a modern leisure and business area where you can find large shopping centres, as well as restaurants, offices, etc. As they are located at the end of the gardens of the old Turia riverbed, we have the opportunity to walk around them with the family or with friends. It is a perfect excuse to spend one of the more than three hundred sunny days we have in Valencia each year and also allow us to enjoy mild and warm temperatures in summer. It is also an ideal area to practice sports. 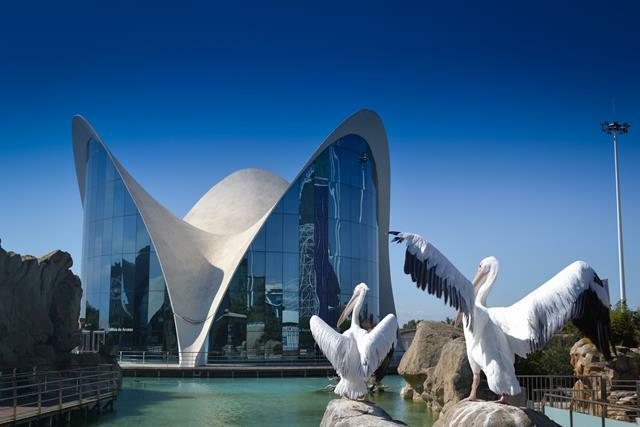 Two Spanish architects of international prestige have carried out with this great proyect: Santiago Calatrava and Félix Candela with the striking roofs of the main buildings of the Oceanográfico (Aquarium). 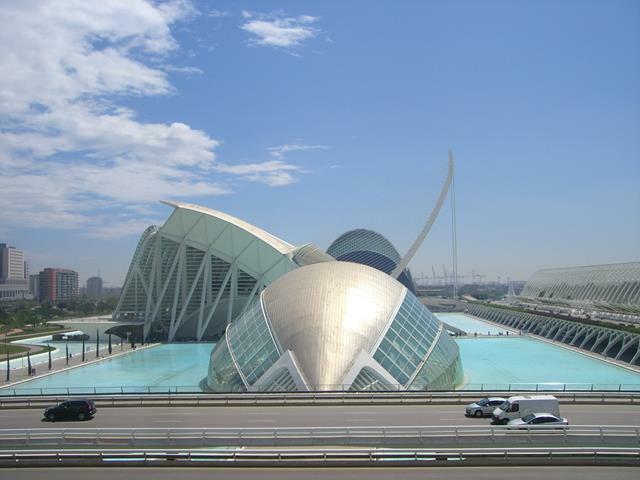 Enjoy our guided tour in the City of Arts and Sciences of Valencia of over 17.500 square metres with an exhibition zone buildings, lakes, walkways, and landscaped. The different elements that make it up were inaugurated between 1998 and 2009. It is a great viewpoint from which all the areas of the City of Arts and Sciences can be contemplated. Made up of metal canopies that cover a landscaped area made up of more than 50 species of (Valencian Community native) flowers native to the Valencian Community. It also contains an interesting exhibition of contemporary sculptures by internationally acknowledged artists in the Paseo de las Esculturas. It is a surprising and majestic building with more than 40.000m2 with four halls for opera performances, dance, concerts and musicals. 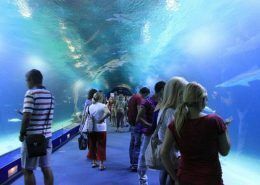 It is the first model in the world of science museums of the XXI century for getting to know in a didactic, interactive, and entertaining way everything to do with life, science, and technology. 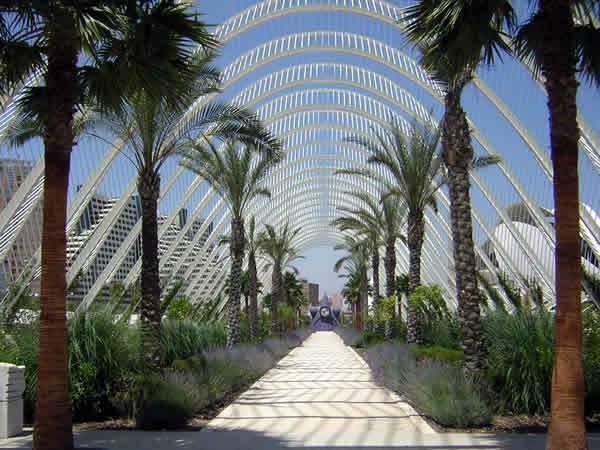 With several floors and an avant-garde architecture by Santiago Calatrava in which glass and white are the protagonists. Learn science and have fun in a unique and incomparable space that also offers didactic workshops. 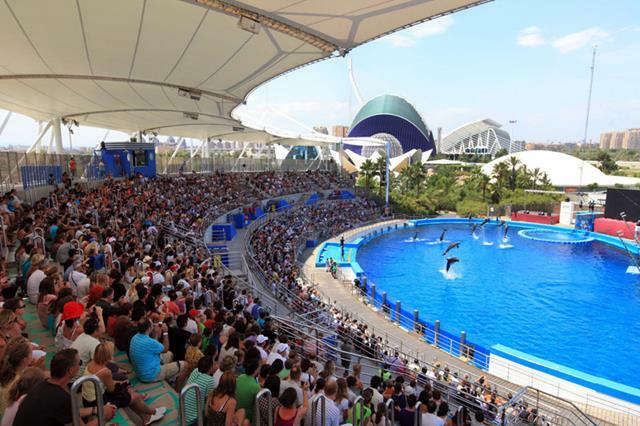 It is surrounded by 13.500 m2 of water. It symbolizes a human eye, called The Universe Eye too with an ovoid roof over 100 metres long that contains in its interior a concave screen of 900 m2 to offer panoramic IMAX projections. The films, with different themes, change periodically and you can choose between several films adapted to different profiles. 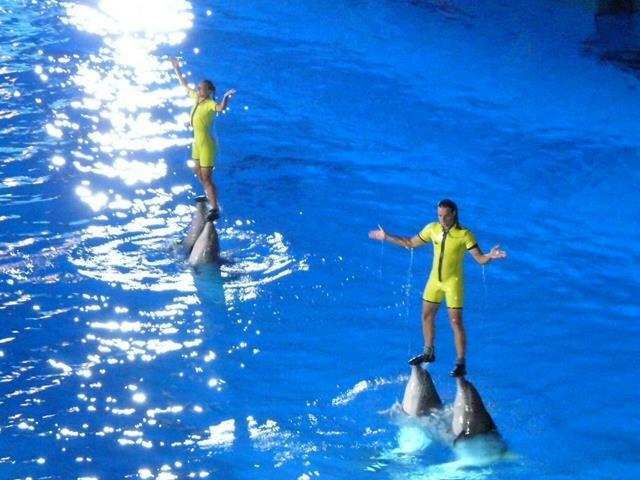 Dolphinarium where you can enjoy a great dolphin show. 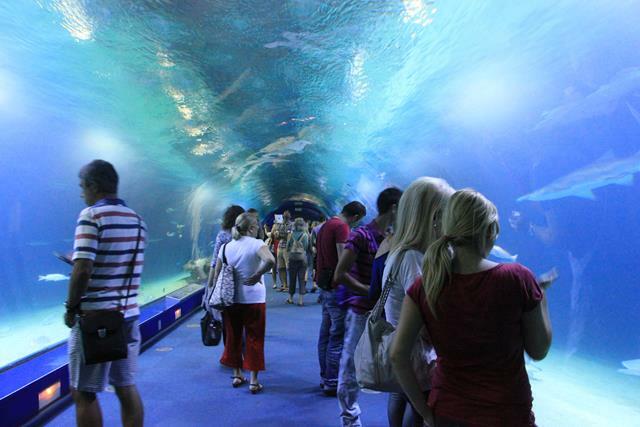 This is a visit to learn about all these marine ecosystems and the importance of conserving them. 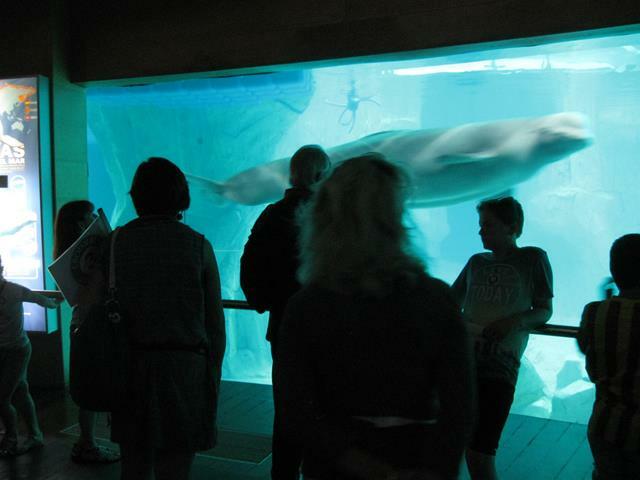 In addition to the normal visit to the facilities, we also offer the visit “On the other side of the Aquarium”, in which we take a tour of the facilities that we do not see normally and in which the Oceanográfico staff work caring for and feeding the animals. It is also known as “jamonero” because it reminds us of it in its shape. Its mast is the highest point of the city with its 127 meters including the lightning rod. The great cultural complex of the City of Arts and Sciences, with nearly 3 million visitors in 2014, offers different cultural events throughout the year such like small and large concerts, exhibitions such as the Ninot exhibition, workshops, fairs, crafts, food trucks, etc., magic shows, monologues or the opportunity to navigate its lakes in waterballs, kayaks or boats. Its futuristic design and appearance has allowed different companies to take an interest in it, both for vehicle advertisements and for the recording of films such as “Tomorrowland” or some other Bollywood films. The City of Arts and Sciences is considered one of the most important and spectacular buildings in the world. The colours of the structures and facades of the buildings that make up this great cultural complex have a meaning. 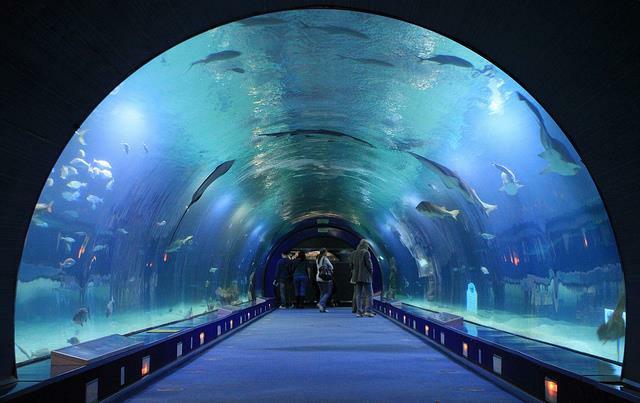 The colour blue refers to the Mediterranean Sea, which we also see represented in the huge lakes that surround them. The colour white refers to the light, which we get from more than three hundred days of sunshine a year. On the other hand, we will also find the widespread use of trencadís: an ornamental technique with which a mosaic is formed through ceramic fragments joined together as if it were almost a giant puzzle. It is very common in Catalan modernist architecture and also reminds us of Gaudí’s style. 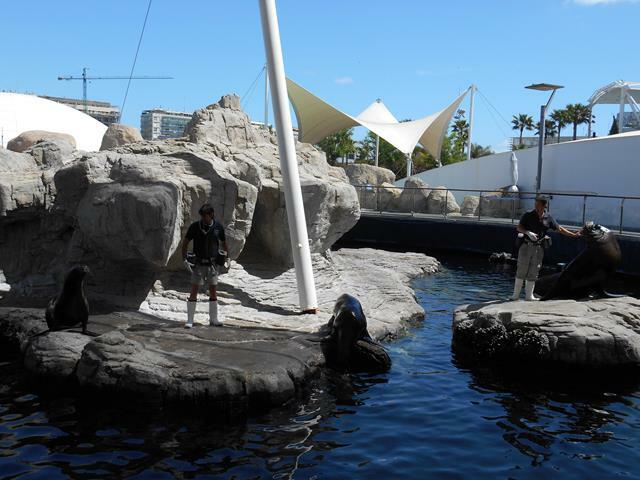 We can take advantage of this unique and incomparable setting to carry out all kinds of activities such as teambuilding or segway tours, tasting of horchata and fartons, train tours around the complex and part of the gardens of El Túria, bike tours, gymkhanas, etc. Come what may, you cannot come to Valencia and stop visiting the City of Arts and Sciences, because it will surprise you, you will never have seen anything like it.